The letter to the Ephesians describes what the Spirit can bring about in us constantly in the life of the Church. What part of the prayer attracts your attention… wisdom, revelation, knowledge, enlighten, hope, call, glory, great might….? Why do you feel the attraction? 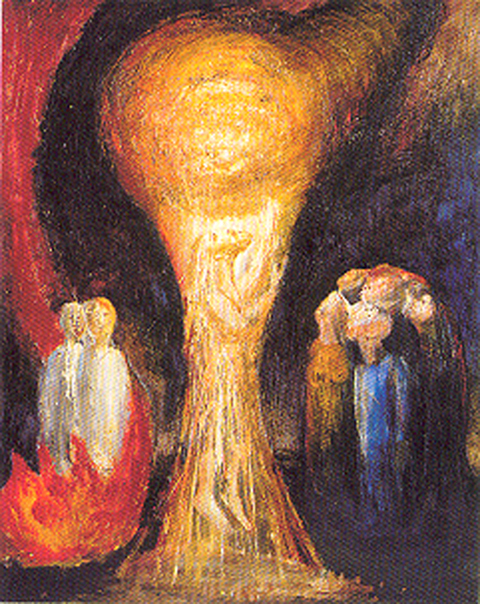 What may this reveal about a possible prayer journey with the Holy Spirit leading to Pentecost? Putting things ‘beneath his feet’ is an ancient idea of authority and power. Kings and Queens were often raised to a height so that all who would come to visit would approach at the level of their feet. Consider Jesus having ‘all power and authority’. Nothing is beyond the possibility of his doing. What would you often pray for knowing you can call upon this ‘power’? Some disciples fell down and worshipped but others doubted. Matthew includes this acknowledgment of the persistent weakness and failure present always in the Church. Does this weakness of disciples give you comfort or cause you to complain? In your journey of worship and doubt what has helped you remain a disciple? How could you help a ‘doubter’? Jesus is not an absentee landlord. The Matthew text does not actually state Jesus has ‘left’. There is still the struggle displacing the grip of Satan and completing the ‘reign of God’. This is why he clothes his disciples with his power to continue in his work. How is Jesus present ‘until the end of the age’? How do you continue ‘his presence’?